Iona McCuaig is a jeweller, artist, researcher and educator. Her work explores the themes of narrative, value and materiality through a variety of outcomes. Historical references are strongly embedded in her practice and are often playfully juxtaposed with contemporary observations. This results as a reapportioning of history allowing for a social commentary of contemporary life. Researching topics and uncovering information is what drives her practice within the context of applied arts where she continues to use her training as a jeweller alongside mixed media techniques. During her BA (Hons) at Glasgow School of Art (2008) she made a series of jewellery inspired by a collection of letters written during the Second World War. She developed a range of metal techniques such as etching, fabrication and patination to form wearable objects illustrating the letters. 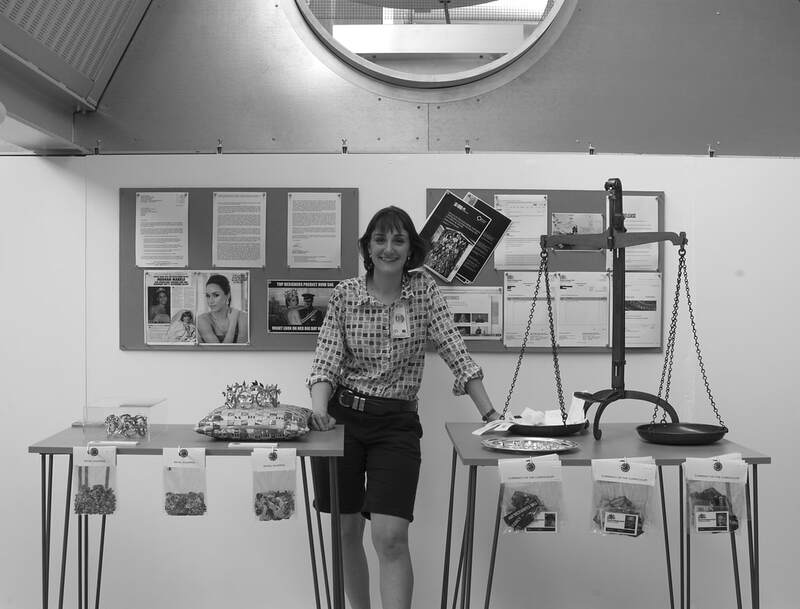 She continued this narrative practice during a two year artist residency at Friends’ School in Saffron Walden (2008 - 2010) were she produced jewellery which responded to social issues documented in the schools’ archives. In 2016 she was awarded a fully funded scholarship to study at the Royal College of Art where she used practice based research to explore the college’s archives and collections. The outcomes from the project were a series of playful re-contextulisations of archive material that drew on various cultural, social and political influences. McCuaig is currently employed by the Royal College of Art as an assistant archivist. She is working to photograph, catalogue and store an extensive Jewellery and Metal object collection dating back to the 1950s. McCuaig’s creative practice runs parallel with a career within art and design education. She has recently delivered a project inspired by her interest in archival research for students at Sheffield Hallam University and is currently enjoying working with galleries and museums as an arts facilitator.